In the spirit of good public health, here’s a Consumer Report that may be a public service as well. Doctors and patients alike put a high value on courtesy and professionalism. Patients aren’t taking full advantage of strategies that doctors think are helpful, such as taking notes during their visits. Not knowing much up front about a doctor’s personality or treatment style was a real obstacle for patients in search of a good match. Together those survey results help create a road map toward a more productive relationship with someone who, after all, should be your most important health-care professional. “A primary-care doctor should be your partner in overall health, not just someone you go to for minor problems or a referral to specialty care,” said Kevin Grumbach, M.D., professor and chair of the department of family and community medicine at the University of California at San Francisco. The Consumer Reports National Research Center conducted the subscriber survey in 2009 (our readers may not be representative of the U.S. population as a whole). The online poll of a national sample of primary-care physicians was conducted in September 2010. “That continuity is really undervalued,” said Jessie Gruman, Ph.D., president of the Center for Advancing Health, a patient-advocacy group in Washington, D.C.
Gruman said that because of a health history that included three separate bouts of cancer, her longtime primary-care doctor urged her to tell him promptly about any new symptom, no matter how minor, that lasted more than two days. “I hate the idea that my health is fragile,” she said. “He was able to capture my imagination and get me to act in a way that was consistent with my interests.” When new symptoms appeared, Gruman told her doctor. Four days later, she was diagnosed with stomach cancer. Research seems to back up Gruman’s experience. It suggests that patients who frequently switch doctors have more health problems and spend more on care than patients who have a consistent relationship with a single physician. Being respectful and courteous toward your physician was the No. 2 thing doctors said patients could do to get better care; 61 percent said it would help “very much.” But 70 percent said that since they had started practicing medicine, respect and appreciation from patients had gotten “a little” or “much” worse. Respect is a two-way street. Patients who gave their doctors high marks for “professionalism” were more likely to be highly satisfied. We measured professionalism by looking at whether patients thought they had been treated respectfully and whether their doctor seemed technically competent, took their medical history into account, listened with patience and understanding, and spent enough time with them. The more of those standards their doctors met, the higher the patients’ overall satisfaction. But being courteous doesn’t mean you have to be passive (though you can if you wish; 37 percent of patients we surveyed preferred to trust their doctor’s judgment on treatment decisions). Most doctors said that it was “somewhat” or “very” helpful for patients to ask them questions and occasionally question their recommendations; a mere 4 percent thought those strategies were downright unhelpful. But compliance these days can be a lot more complicated than just remembering to take a pill, patient advocate Gruman said. Hospitals are sending patients home with long lists of self-care chores. Drug and lifestyle regimens allow those with chronic conditions to live longer, healthier lives but can be difficult to manage or, in some cases, for patients to afford. Compliance doesn’t necessarily mean following your doctor’s instructions slavishly, said Ronald Epstein, M.D., director of the Center for Communication and Disparities Research at the University of Rochester Medical Center in New York. Some patients don’t follow treatment programs because they’re disorganized, he said, but others might fail to comply because they’ve experienced serious side effects, don’t fully understand what they’re supposed to do, or found the treatment wasn’t working. “Doctors need to make it safe for patients to bring those things up,” he said. Feel free to discuss, even debate, your doctor’s treatment plan while you’re still in the office. Then do your best to comply. If you’re having side effects, are unsure whether you’re following instructions properly, or experience new or recurrent symptoms, tell your doctor immediately. Doctors were harder on themselves than patients were when it came to judging their ability to minimize the pain, discomfort, or disability caused by a condition. Only 37 percent of physicians thought they were “very” effective, though 60 percent more thought they were “somewhat” effective. But 79 percent of patients said their doctor helped to minimize their pain or discomfort. Perhaps that’s because patients were thinking only of their own conditions, whereas doctors were thinking of their overall effectiveness with all of their patients, including those with chronic conditions that are difficult to diagnose and treat, such as fibromyalgia, immune disorders, headaches, neck and back pain, and depression and anxiety. Our survey found that patients with those conditions were significantly more likely to complain about ineffective treatments. Just 53 percent said their doctor helped to minimize their pain or discomfort, and only 31 percent were highly satisfied with their doctor overall. “For patients with chronic conditions, medical science can’t necessarily take away all of their suffering,” Epstein said. “If you have a chronic condition, the important thing is to find a doctor who listens and involves you in decision making,” and maybe even helps you sort through alternative treatments. Our survey confirms that advice. Patients who gave their doctors high marks for prescribing effective treatments also rated their doctors more favorably for improving their understanding of the condition; their ability to recognize symptoms requiring immediate attention; and minimizing pain, discomfort, and disability caused by a condition. Patients were much more satisfied if they trusted and had good personal rapport with their doctor. 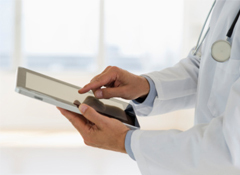 Slowly but surely, primary-care doctors are switching over to electronic medical records. Thirty-seven percent told us they keep their records electronically only, compared with just 24 percent who did so in 2007, during our last survey. But they want you to know that it still pays to keep track of your medical history yourself. Eighty-nine percent said that keeping an informal log of treatments, drugs, changes in condition, notes from previous doctor visits, and tests and procedures could be helpful. But only 33 percent of patients routinely did so. Likewise, 80 percent of doctors thought taking a friend or relative to your office visit could be beneficial, but only 28 percent of patients reported doing so. “When we’re sick our judgment is not as good as it usually is,” Gruman said. “We don’t remember as well as we usually do.” Taking notes, making sure you understand the doctor’s instructions, and taking somebody with you to pay attention can compensate, she said. The patients we surveyed were enthusiastic online researchers; 61 percent reported that they had read about their condition on the Internet. Doctors are not convinced that online research is helpful, to put it mildly. Almost half of physicians we surveyed said online research helps very little or not at all, and just 8 percent thought it was very helpful. Epstein said those findings don’t mean you should close your browser, just that you should be a smart online researcher. “People have motivations for posting things on the Web, and some of those motivations may not be helpful,” he said. For instance, be wary of links that advertisers paid for or product sites designed to guide you to a specific treatment. Centers for Disease Control and Prevention for information on infectious disease, travel health, and preventive care. Food and Drug Administration for drug information. MedlinePlus for information about conditions and diseases. National Cancer Institute for cancer information. Emergency Dentists for when you’re away. We also recommend high-quality academic treatment-center sites, such as those of the Mayo Clinic and the Cleveland Clinic. If you find information online that you want to discuss with your doctor, print out only the relevant parts. Physicians said the sheer volume of insurance paperwork was No. 1 on the list of things that interfere with their ability to provide optimal care. Next was financial pressures that may force the majority of primary-care providers in our survey to work more than 50 hours a week seeing more than 100 patients. But that doesn’t mean you should settle for hasty care. Patients who perceived that their doctors cut corners were likely to be less satisfied. They were more likely to report that their doctor was too quick to dismiss complaints or symptoms and were more uncertain about what to do after an office visit. To get the most out of your time, plan ahead. Jot down a list of questions or concerns you’d like to address during your appointment, and prioritize them so you get to the most important ones first. If you don’t have time to discuss everything, ask whether you can follow up by e-mail (that is, if you can; only 9 percent of patients said they e-mailed their doctor directly in the previous year). You can’t do much as an individual about burdensome health-plan rules, but you can avoid unwelcome surprises by reading through and understanding your health coverage. (Ask your human-resources department for help if you need it.) For instance, inquire about your plan’s formulary, a preferred list of drugs for which it charges a lower co-pay. Understand what services your deductible applies to, and find out what rules, if any, apply if you need to see a specialist. They talk to drug companies more than you might realize. The majority of doctors we surveyed said that pharmaceutical company representatives contacted them more than 10 times a month. Thirty-six percent were contacted more than 20 times a month. On average doctors said they spend a few hours a week dealing with pharmaceutical salespeople. Our patient survey suggests that’s a possible point of friction. Patients were less satisfied when they thought their doctors relied too much on prescription drugs and were unwilling to consider nontraditional or nondrug treatments. More than one-quarter of patients indicated some level of discomfort with their doctors’ inclination to prescribe drugs. If you are concerned about your doctor’s relationship with pharmaceutical companies, don’t hesitate to bring up the subject at your next visit. It’s true that a malpractice suit can befall any doctor and that disciplinary actions from medical boards don’t necessarily represent the doctor’s overall skill. Still, disciplinary actions levied by medical boards can be for serious offenses, such as substance abuse or criminal behavior, that could affect your care. You might be able to look up your doctor’s record online, though the information that’s available differs by state. Find your state’s medical board at the Federation of State Medical Boards website or try your state health department. You won’t find detailed quality data on individual doctors here, or anywhere else, because we don’t think anyone has figured out how to accurately measure the quality of care that they deliver. Yet 31 percent of the patients we polled wished that they had more information before choosing a doctor. Sure, you can find your way to websites with basic information such as a doctor’s medical school and board certification, and whether the practice is accepting new patients. But none of that information has much to do with a doctor’s quality, according to a study published in the Sept. 13, 2010, issue of Archives of Internal Medicine. The health-reform law called for a public website, Physician Compare, that will include information on physician quality, including patient outcomes, continuity, and coordination of care, efficiency, and safety. But the full site won’t make its appearance until around 2015 at the earliest. Ask people. Doctors we surveyed ranked getting a recommendation from family or friends as the most valuable method for choosing a physician. Next came referrals from other doctors. Ask questions. The more that patients we surveyed knew about their doctors, the more satisfied they were. That held true for factual information, such as hospital affiliation and office hours, and especially for more qualitative information such as the doctor’s personality and professional style. Audition the doctor. Use your first appointment as an audition. If you have a specific health condition, ask how much experience that doctor has with it. And be open about other concerns you have. Reasons to dump your doctor might include a bad bedside manner, inability to communicate openly with you, an appointment calendar that’s always full or disorganized, an unhelpful staff, or a perpetually backed-up waiting room. Talk to your doctor about your concerns, and if nothing changes, consider finding another physician. Don’t forget to have your medical records transferred. If you haven’t already heard the term “patient-centered medical home,” chances are you will soon. In a medical home, the doctor becomes an advocate for the patient, “not a gatekeeper that restricts access to services,” said Kevin Grumbach, M.D., chair of the department of family and community medicine at the University of California at San Francisco. The new health-reform law includes incentives to create medical homes. Several states are already paying doctors extra to oversee the health needs of Medicaid recipients, and in some cases private insurers are participating in the experiments. Medicare is set to launch its own pilot program in coming years. Can you get an urgent appointment within 24 hours? Can you reach somebody in the practice by phone at night or on weekends? Can you get your test results quickly via e-mail or telephone, or online? If you have a chronic condition, is there a system for tracking how you’re doing? Does the practice include non-M.D. staff members such as nutritionists or nurse-practitioners to help you manage your medications or chronic condition? Does your primary-care doctor keep track of your treatment by specialists? How wired is your doctor? While we can now bank, socialize, and shop online, most of us still interact with our doctors the old-fashioned way: on the telephone and with pen and paper. But that may be changing soon. Our recent survey of 660 physicians found that 37 percent now keep patient records entirely electronically—up from 24 percent in our 2007 survey. And though about half of the 49,007 Consumer Reports subscribers we surveyed said their doctor only looked at paper medical records, one in four said their doctor used a computer or hand-held device, and 22 percent said they used a combination of paper and electronic record-keeping. Moreover, billions of dollars in incentives provided as part of the federal stimulus package might motivate more doctors to finally take advantage of the technological advances made in the past 20 years, and that other industries have already adopted. To qualify for those incentives, medical practices have to use systems that can give patients secure access to their electronic health record. This year, eligible doctors who use electronic prescribing with appropriate Medicare patients at least 25 times during the year will receive an incentive payment of 1 percent of their Medicare payments. Starting in 2012, physicians who don’t participate will be subject to a financial penalty. Some health-care providers have already fully embraced the high-tech office. One medical group in New York, for example, uses a small camera to scan the irises of patients as they enter, streamlining the check-in process, and is testing a thermal imaging camera to screen patients for fever so they can separate the sick from the healthy. But a good electronic-health record doesn’t have to include such slick technology. Its main goals should be to improve care and prevent errors, in part by facilitating communication among doctors. For example, it should allow a primary-care physician to instantaneously share test results and medication lists with specialists and even doctors in a hospital or emergency room. E-prescribing. An e-prescribing system can access your health-insurance company’s formulary to determine your out-of-pocket cost for each drug option. You and your doctor can then choose the most affordable among medically appropriate treatments. And by screening for drug interactions and allergies, it can also help reduce medication errors and adverse events. In 2009, 18 percent of prescribed drugs were being routed electronically, according to Surescripts, a company that operates the nation’s largest e-prescription network. E-mail and e-visits. Only 9 percent of the subscribers in our survey said they had e-mailed their doctor in the past 12 months. That’s not surprising. Many consumers have concerns about privacy, and doctors have rarely been paid for online consulting. But insurers are testing new reimbursement models for paying doctors to conduct e-visits with patients. And some doctors now offer password-protected encrypted e-mail or e-visit formats, making communication more secure. Doctors and patients are also getting a better idea of when e-mail makes sense and when it doesn’t. “Some things can be done over the phone, and some things can be done over the Internet,” says Ronald Epstein, M.D., director of the Center for Communication and Disparities Research at the University of Rochester Medical Center in New York. E-mail consultations aren’t a good option if you’re a new patient, have a serious new symptom, or have a medical emergency, for example. But if a doctor is familiar with your history, an e-visit can be an efficient way to respond to requests for prescription refills and referrals, or to provide consultations about ongoing chronic disease management, like type 2 diabetes. Web portals. Some doctor groups have taken e-mail a step further and developed secure websites that allow you to make appointments online, get test results, view your medical history, pay bills, and set up self-care management reminders. Personal health records. Google has introduced a tool that allows you to store and manage your health records online, and share them with any provider you choose. Microsoft’s Health Vault can also download results from certain medical devices, like blood-pressure and glucose monitors, to track your vital signs. While those and similar tools from other companies are potentially very useful, they don’t yet adequately integrate information from doctor’s medical records and translate them into personalized and in-depth action plans, according to a commentary in the Jan. 19, 2011, issue of the Journal of the American Medical Association. And while security is getting better, there are still some concerns about medical information stored online or sent via the Web. Our consultants say that while online personal health records still have a long way to go, they might help you keep your medical information organized. They might be worth considering if you’re technologically savvy and are not overly concerned about online privacy. Health-assessment software. These are online questionnaires about your personal and family health history that you can fill out before you go to a doctor’s office, saving time when you get there. Some might also ask you to describe the issues you’re most concerned about and what you expect from your doctor. Used properly, technology can be an effective tool for “getting from patients what really matters to them,” says John Wasson, M.D., a professor of community and family medicine and geriatrics at Dartmouth Medical School, and a consultant on our Consumer Reports survey. He has developed assessment software that is available to patients and practices free, at www.howsyourhealth.org. Mobile devices. Doctors can use smart phones like the BlackBerry and iPhone, and tablet computers like the iPad, to access electronic health records, lab tests, and images, or to look up reference materials for themselves or their patients. Of the approximately 17,000 smart-phone health-care apps available, 43 percent are for medical professionals, according to the mobile research firm Research2Guidance. They include reference tools like Epocrates and mobile versions of medical journals such as the New England Journal of Medicine. An app from the federal Agency for Healthcare Research and Quality allows clinicians to input their patients’ characteristics and risk factors to identify recommended screening tests and preventive measures. Physicians (and patients) can also set up alerts from the Food and Drug Administration about recalled drugs or from the Centers for Disease Control and Prevention about the flu, public-health emergencies, and more. Bottom line. Finding a doctor who embraces electronic health records isn’t always easy, especially if, like most people in the U.S., your primary-care doctor doesn’t belong to a large group practice. Our poll of primary-care physicians found that 65 percent of doctors in solo practice kept only paper records compared with just 15 percent of primary-care groups with 10 or more doctors. And even when you can find one, switching to a more technologically savvy physician or group won’t necessarily translate into better care. “Infrastructure is really important, but it does not substitute for a trusting relationship between a patient and a physician,” Epstein says. In the end, “technology is the form” says Kevin Grumbach, M.D., professor and chairman of the department of family and community medicine at the University of California at San Francisco, but “the function is good communication.” If the office picks up the phone when you call, someone can help you after hours, and you can get your lab tests mailed to you in a prompt fashion, then a low-tech office can still be in your best interest, he says.